Yes! It is that time of year again, it's time for S. And this year we provided the furniture for the Workshop again. Check out this picture from last year's workshop. Throw back to this time last year when we were setting up for the Home and Garden Show Workshop. 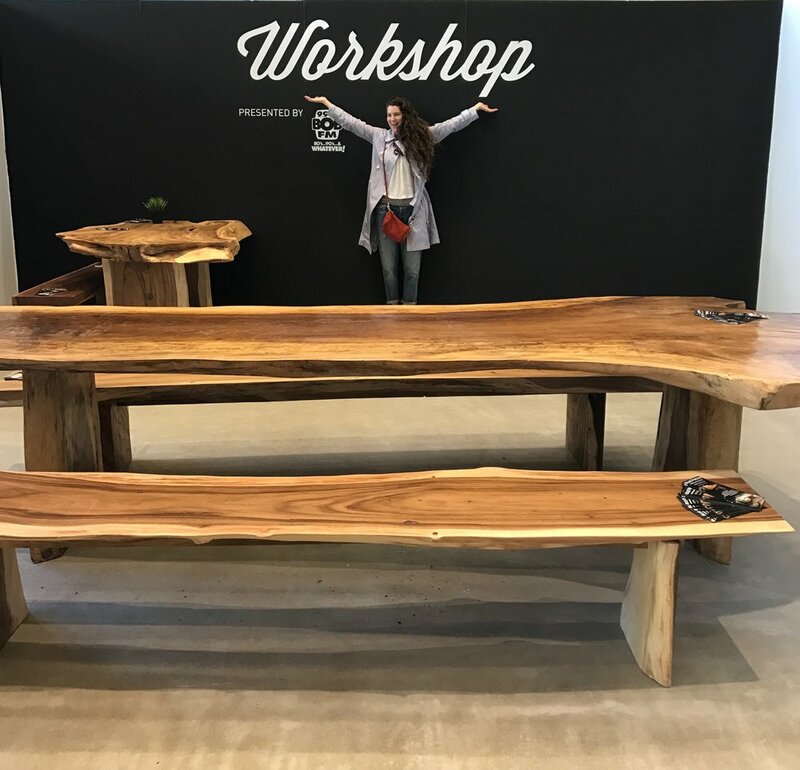 Come check out our furniture at the Home and Garden Show Workshop starting tomorrow. The schedule for the Workshop looks so great this year. I might just have to go to every event.